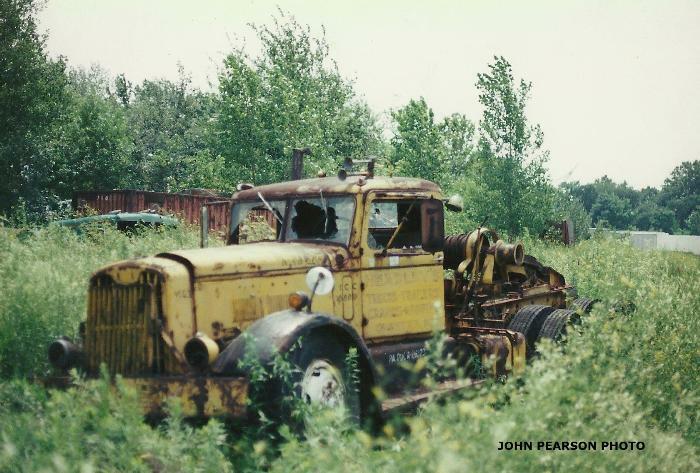 Home » ATHS Discussion Forums » General Discussion » Does anyone know what happened to this '48 Autocar? wow! Thanks for posting those pictures and bringing attention out for this Autocar. Does anyone out there know what happened to this truck? 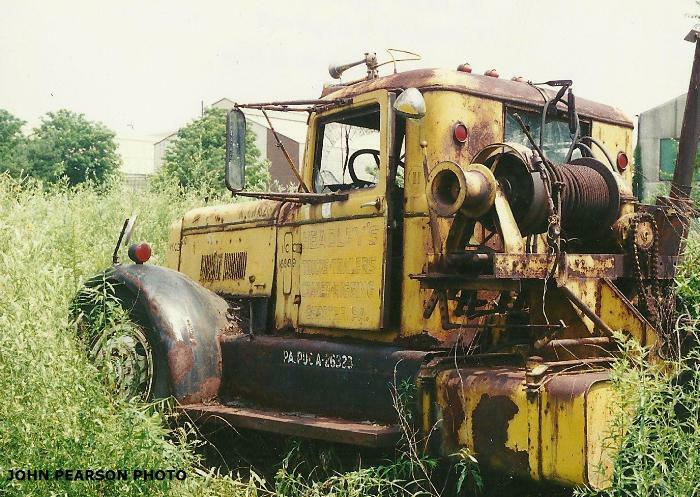 I took these pictures back around 1995 or so at Robbins Motor Transportation in Eddystone, PA. My brother and I tried to buy the truck at the time, but we kept getting the run-around. Some time around '96 or '97, it was gone. It sat in the vacant lot accross from their main yard where they kept most of their trailers at the time. 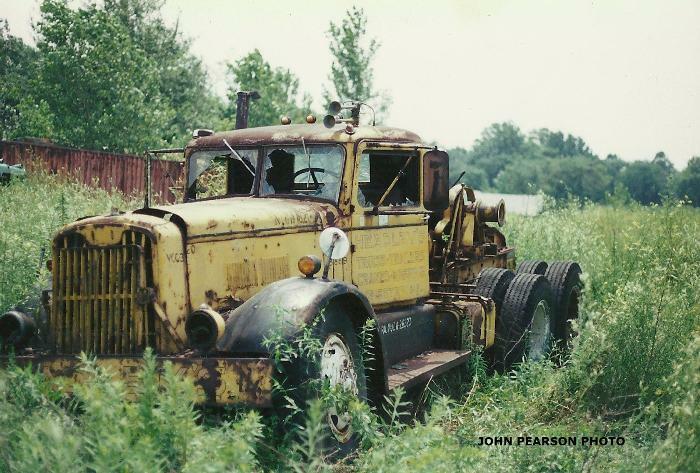 This truck was rather famous in the area back in the 40s and 50s. Headley's did a lot of big moves with it. As far as i know, it is a 1948 Autocar DC200, definitely Cummins powered. 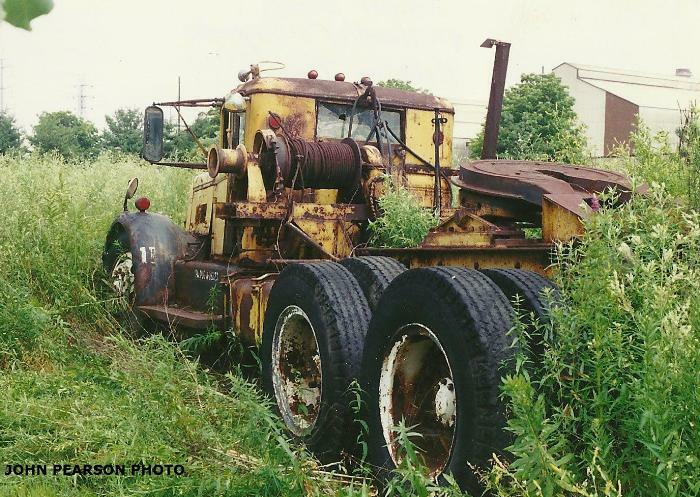 At one time, it had (2) winches side by side behind the cab. I have always wondered what happened to it. I have too much "junk" now and not enough time or money, but I hope it was saved and would love to see it again someday. Execution: 0.437. 6 queries. Compression Enabled.